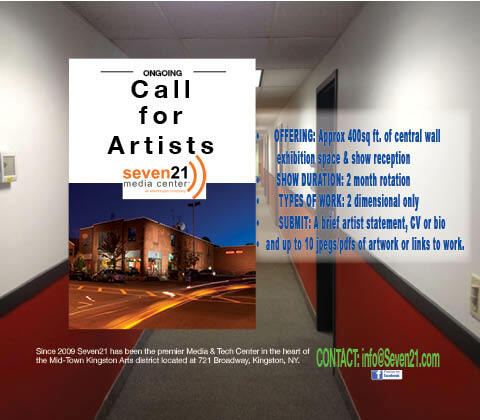 Seven21 media center | audio, video, equipment rental, office leasing, and conference center. Just 90 miles north of NY City, the ONLY facility of its kind in the region. Turn-key green screen studios with all the HD cameras and equipment that you need for your next shoot! All the Amenities you need, nothing you don't! Comfortable cafe' on every floor. More room to spread out while you work! Flexible Multi-camera HD production on a budget. Seven21 Media Center is the Hudson Valley's first and most unique media and technology office building. Our 33,000 SF facility is home to over 38 different boutique companies ranging from advertising agencies, video production, audio production, software developers, radio stations, designers, artists, composers, lawyers, theater companies, audio video equipment rental, and so much more. This building has more creative spirit and tech savvy than any other facility in the region and you'll feel it the moment you enter the building. The three floor facility is designed to make you feel inspired, and welcome with its bright colors, contemporary design, and easy to navigate signage. So many amenities like our lounges, cafe, kitchens, artwork, conference spaces, fitness centers, and over 12o creative-minded people, you won't want to leave. Come by for a tour, visit one of our great companies, or even join us as a tenant. 721 Broadway Kingston, NY 12401. Call 845-331-0551 for an appointment! Q:What is your approach to your business or occupation that makes you unique? A: I’m a visual artist so the entire goal is to be unique and dynamic in my work. That’s what I do, all day long. I work with combat athletes right now; I shoot them in a harlequin sci-fi set. Its super fun. Q:Where are you from originally? Q:What brought you to the Kingston area and keeps you local? A:Good life for the kids, nature, seasons, people. Q:What is your favorite thing about Seven21Media Center? A:The murals and my gorgeous studio. Q:When you’re not working, what is your favorite thing to be doing? A:Fight training. Q:Tell us something that we never would have guessed about you. We are proud to welcome Tech Smiths to Seven21 Media Center. They have relocated from North Front street in Uptown Kingston to the first floor of the technology mecca at Seven21 Media Center. Brian and his team bring a great tech vibe to the building, buzzing with knowledge and enthusiasm for Apple products and technology as a whole. Customers now enjoy the convenience of off-street parking, easy access, a cafe waiting room, and as always a plethora of knowledge from the adjacent tech community.